When talking to your child about going to the dentist, we think it best to talk about it a little like we are going to the supermarket, or to the local shopping centre for shoes. The last thing you as a parent should do, is give them a choice or show them any prejudice or anxiety about doing this. Normal, Easy and Everyday. From our end, we try and provide a fun, easy and normal experience, whereby your child leaves the practice bouncing along and totally fearless. This is the best way we know how to promote a regular, fear-free experience. From a financial point of view, we try to help as much as possible. We understand that bringing kids to the dentist may be an obstacle for parents, particularly parents of many children! To that end we offer a 50% discount to regular fees for children under 12, and make use of the child benefits scheme available for all children in Australia. The fact is, baby teeth are very important. Early loss is very bad for development of the adult teeth. Baby tooth loss is, of course, a little like simply losing a tooth that will be replaced anyway, however it’s important that you consider it this way: baby teeth are like a “retainer”, keeping space and volume for the all-important adult teeth. If these teeth are lost early, we sometimes lose space and volume that may impede adult teeth or cause them to erupt in the wrong place. Further, there is no “nice” way to lose a baby tooth, and extraction of a baby tooth might have to occur under a mild General Anaesthetic (an option we never like) or under local anaesthetic, which can be traumatic for little ones. If we can monitor and fix issues when they are small, or instigate preventative measures that stop issues in the first place, these are always the better option. We could say a check up is needed as soon as a tooth shows, but the rule of thumb is that your child should first visit the dentist when they are three years old. We rely on you – the parents – for your dental IQ, and being able to spot glaring issues requiring attention before that. Just imagine your child’s first dental appointment is when they’re five or six. You’re introducing them to this new, strange world that’s full of weird sounds and smells – a mini-freakout won’t come as too much of a shock. Younger children are malleable: by starting early, you normalise the idea of going to the dentist, and they get accustomed to the sounds and sights of your local dental clinic. Not to mention, this also ensures that you’re up-to-speed with your child’s oral development and help them quash their dental nerves! Kids love playing pretend – they pretend to be firefighters, teachers, pop stars and everything in between. So why not play dentist? If you ask us, this is one of the most effective ways of getting your child onboard with the idea of going to the dentist. If possible, we recommend playing the role of dentist yourself. The reason? Your child trusts you. By playing the role of “dentist”, you’re subconsciously telling them that dentists can be trusted, just like you. This makes them more likely to come along willingly when the time comes for their dental appointment! Do you have your own dental anxieties? We won’t take it personally – dental phobia and anxiety are some of the most common ones around. We don’t blame you for thinking like this – what you should avoid, however, is letting that fear bleed over to your child. While young, children are a lot more perceptive than you might believe. They can pick up on anxiety, which in turn makes them feel anxious – according to some research, phobias can be learned behaviours. Therefore, if your palms get sweaty at the thought of seeing the dentist, your child also learns to be nervous – if mummy and daddy are both on-edge, that means the dentist must be bad! It’s important that you don’t give off any visible signs of discomfort when the topic of dentistry comes up. If possible, try to talk about it in a calm, matter-of-fact tone. Bribery: the go-to technique of many a parent out there. While winning them over with promises of toys can help in the short-term, it comes with three major problems. The first is that it makes the trip down to the dentist into a big deal. After all, if it’s big enough for mum and dad to be offering bribes, then dental check-ups must be a bad thing! Secondly, some more savvy kids can cotton on and realise that they can demand bigger and bigger treats – needless to say, this can lead to a less-than-pleasant attitude developing. Finally, many parents resort to offering lollies of all things to convince their child to go to the dentist – we’re sure you can see the problem with this approach! All of this can help build positive associations with the dentist, thanks to classical conditioning. Many parents assume that it’s best to leave eating until after the dentist, with many treating it as a reward for coming along. Needless to say, this doesn’t work – think about how cranky you get on an empty stomach. Now think about how common tantrums can get with children and it quickly becomes apparent why eating is important to securing your child’s cooperation. And as long as the food isn’t bad for your teeth and you brush and floss afterwards, we won’t mind either! While there are plenty of dentists out there, not all of them are child-friendly. Choosing a family dentist can go a long way towards helping your child feel at ease when attending their regular dental checkups. Take us for example. At Dental Care Group, we pride ourselves on our ability to provide fantastic dental care for all members of the family, children included. Each member of our team is more than just a dental professional – they’re also superstars when it comes to working with children, performing their duties with a smile and great attitude. Our clinic is bright and airy, helping our younger patients feel at ease from the moment they set foot through the door. If it helps, we can even start their visit with a tour to help them settle down and show them the cool stuff we have! We use child-friendly techniques that minimise physical discomfort and help your child feel at-ease. Additionally, we also use tools such as sleep dentistry and even nitrous oxide (“laughing gas” as it’s more widely known) to put young patients at ease. These are just some of the ways we can make your child feel more at-home with us – all the more reason to choose a family dentist in Armadale! Need a dentist in Armadale? Visit Dental Care Group today! As a family dentist, we provide a range of dental procedures for all members of the family, no matter how old – and that includes children. Our friendly team build a welcoming environment for your kids. 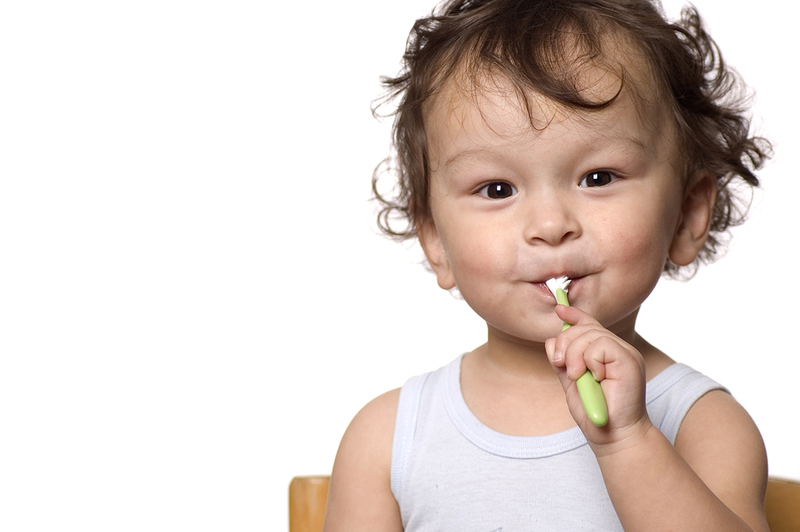 Using gentle dental procedures, we make your child’s first (or second, or third, or tenth!) visit to the dentist a smooth and pain-free one. Give our dentist in Armadale a call today – call (03) 9509 1500, or click here to make a booking!